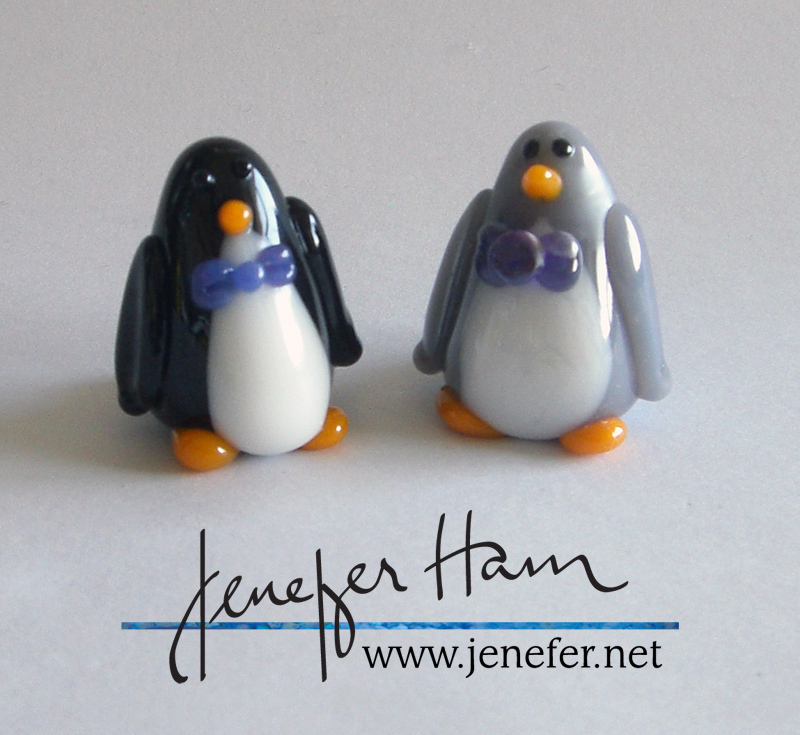 I’ve been on a bit of a penguin kick lately…I’m making a penguin palette! So yesterday I embarked on a penguin marathon, and made 11! Eleven! I’m getting ready to get on the torch again today…I’m being a bit focused because I decided to submit them for a glass prize, which means I need to get them done before the end of March! But I had a request for a turtle, so I took a penguin break and launched my first attempt. 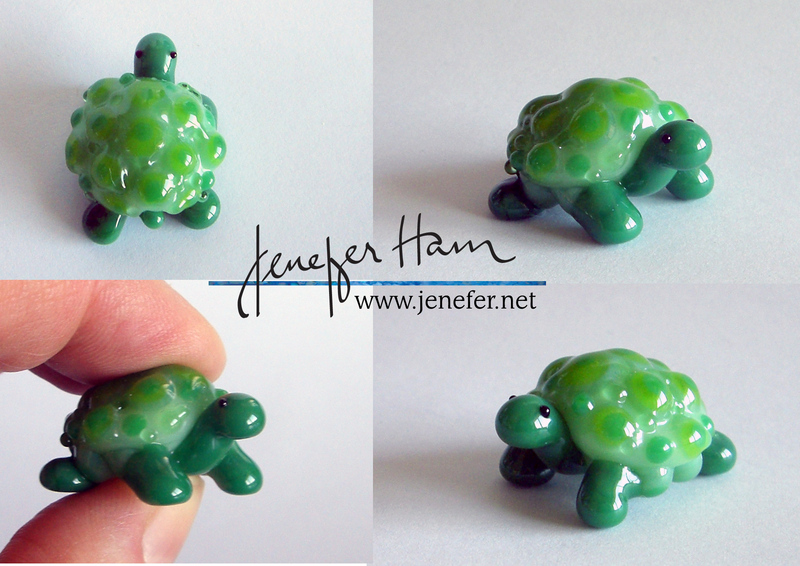 I think the shell needs colors with greater contrast, but on the whole, I’m quite pleased! But back to penguins…here’s some gentlemen penguins. I’d go to the ball with either of them, since they share my passion for purple. I’m having too much fun around here! Ah, those are so cute!! Have you ever made duckies? I love rubber duckies and I think a glass one would be so cute!